Hydroplate theory: The Science of the Flood and of Special Creation. Re: Hydroplate theory: The Science of the Flood and of Special Creation. Quare, I'll be sending you a PM shortly. New Advent has a reasonable article on the substantial Mosaic authorship of the Pentateuch. "Witness of the New Testament - We need not show that Jesus and the Apostles quoted the whole of the Pentateuch as written by Moses. If they attributed to Moses all the passages which they happen to cite, if they ascribe the Pentateuch to Moses whenever there is question of its authorship, even the most exacting critics must admit that they express their conviction that the work was indeed written by Moses. When the Sadducees quote against Jesus the marriage law of Deuteronomy 25:5, as written by Moses (Matthew 22:24; Mark 12:19; Luke 20:28), Jesus does not deny the Mosaic authorship, but appeals to Exodus 3:6, as equally written by Moses (Mark 12:26; Matthew 22:31; Luke 20:37). Again, in the parable of Dives and Lazarus (Luke 16:29), He speaks of "Moses and the prophets", while on other occasions He speaks of "the law and the prophets" (Luke 16:16), thus showing that in His mind the law, or the Pentateuch, and Moses are identical. The same expressions reappear in the last discourse addressed by Christ to His disciples (Luke 24:44-6; cf. 27): "which are written in the law of Moses, and in the prophets, and in the psalms concerning me". Finally, in John 5:45-47, Jesus is more explicit in asserting the Mosaic authorship of the Pentateuch: "There is one that accuseth you, Moses. . .for he wrote of me. But if you do not believe his writings, how will you believe my words?" Nor can it be maintained that Christ merely accommodated himself to the current beliefs of his contemporaries who considered Moses as the author of the Pentateuch not merely in a moral but also in the literary sense of authorship. Jesus did not need to enter into the critical study of the nature of Mosaic authorship, but He could not expressly endorse the popular belief, if it was erroneous..."
Your demand that I do means that you think an argument from authority should trump an argument from evidence and data. Can we agree the Fathers are an authority at least when they tell us something more or less unananimously? They say Moses wrote the Pentateuch, and the Fathers are better experts and authorities on matters relating to the Scriptures than anyone. When you say we should believe modern scientists, is that not an appeal to authority also? And I don't even deny it! I just choose to believe the modern scientists who are in line with the testimony of God. It may well be the flood related in the Bible. Wonderful. We agree, then, that the flood quite likely happened. It remains to inquire whether the flood was local or global. Dr. Brown has a Ph.D from the Massachusetts Institute of Technology. I'm not going to attack Michael Oard, but I trust Dr. Brown. 4:45 - "today's major mountains were all pushed up in hours"
5:10 - "in 1970, I predicted that large pools of saltwater would be found beneath major mountains. That prediction has been confirmed in several ways. By gravity studies. By seismic studies, by collective magnetic studies." There's an article from Science Magazine in 2001 cited subsequently as only one of many confirmations vindicating the theory. I don't see Dr. Brown's critics writing anywhere near as detailed critiques of his work as his detailed predictions and theory. If Dr. Brown's theory is incorrect, Quare, how did he predict this correctly? No theory has the answer to everything, Quare. And I'm not an expert on the theory anyway. I just emailed Dr. Brown to ask him a few of my doubts. I'll get back to you. Just so we're clear. You are saying there is eyewitness and historical testimony to a global flood? Yes. And of only one family surviving that flood. Such as the Epic of Gilgamesh, to take only one example, of a figure well known to secularist scholars - http://www.icr.org/article/noah-flood-gilgamesh/ What do you think of Gilgamesh, Quare? And since some people appeal to the few who have critiqued the book, let's look at the qualifications of some who have praised it. Just a bare 5 out of a sample of several others. I think it is well worth the effort for all interested to study it. "Walt Brown’s book is the rarest of species: It is the most complete reference work I have encountered on the scientific aspects of the multifaceted subject of origins. At the same time it presents a comprehensive theoretical framework (his hydroplate theory) for reconciling the many seemingly unrelated, and sometimes apparently contradictory, facts that bear on these questions. This book is essential for any teacher or student who is serious about resolving these issues on the basis of the evidences rather than on opinions or unsubstantiated or unverifiable hypotheses. The subject of origins is not peripheral; it is foundational. I have spent most of my adult career in universities in the U.S. and Europe (as a Fulbright scholar), and it is clear that Christianity is losing ground on college campuses. The Christian faith is becoming unraveled with bad science. I can say without reservation that In the Beginning is the single most useful resource I know of on this subject, bar none. Walt is both diligent and creative, and you will find the arguments concise and thought provoking. The material is helpful on almost any level, and the references will be invaluable to those wishing to dig deeper. If I had to send my child off with only two books, they would be the Bible and In the Beginning. In the Beginning is a great creation-science book for teens and adults. It’s easy to read, carefully researched, meticulously documented, and offers answers to the most important questions of the origins controversy. Besides the usual creation-science approach to questions about the historicity of Genesis and what happened to make the dinosaurs extinct, the book is unique in explaining for the first time how twenty-five major Earth features—including mountains, volcanoes, the Grand Canyon, and ice ages—resulted from a worldwide flood. At the same time, it reveals serious yet little-known problems with many evolutionist ideas about Earth history and the origin of life—including many ideas that evolutionists themselves have discarded, but are still taught as fact in children’s textbooks. You owe it to yourself to get this book. Classic uniformitarian geology has failed to solve a number of problems in geology. By contrast, using catastrophic basic assumptions, Dr. Brown has given scientists a way of addressing many problems that is philosophically sound and scientifically acceptable to objective thinkers. Never before have I encountered a more intellectually satisfying and respectable attack on a broad spectrum of geologic and biologic problems that are laid bare in this work. Dr. Walt Brown uses three striking gifts in his creation science research and teaching: (1) a highly organized mind, (2) the ability to consider scientific evidence without the encumbrance of conventional paradigms, and (3) the ability to articulate the material with complete clarity. Walt is a born teacher. This enables him to develop significant new theories, such as the hydroplate theory, and to present them with remarkable clarity in both his seminars and this book. I am convinced that everyone needs to be familiar with the landmark work documented in this book. I guess that depends on what is meant by "substantial". Certainly, no one (at least not me) is denying Moses wrote part of it. But the logical flaws in the New Advent article are quite evident. "Witness of the New Testament - We need not show that Jesus and the Apostles quoted the whole of the Pentateuch as written by Moses. If they attributed to Moses all the passages which they happen to cite, if they ascribe the Pentateuch to Moses whenever there is question of its authorship, even the most exacting critics must admit that they express their conviction that the work was indeed written by Moses. That is a non sequitur, of course, a bandwagon approach fallacy, as well as an exaggeration of the data. The fact that Moses gave the law doesn't prove that he was the one who wrote down that he gave the law. The fact you can ascribe a few passages to Moses doesn't prove he wrote the whole thing. Can we agree the Fathers are an authority at least when they tell us something more or less unananimously? No, if by "authority" is meant "something absolutely to be accepted, without question". They say Moses wrote the Pentateuch, and the Fathers are better experts and authorities on matters relating to the Scriptures than anyone. Prove it. They also believed in a geocentric cosmos. But that, you will say, isn't a "real" interpretation of Scripture, but only a common belief at the time. I'll say the same about authorship of the Pentateuch. If strong evidence comes up disproving Mosaic authorship of part of the Pentateuch, I'll believe Moses didn't write that part of the Pentateuch. You'll do whatever you can to discredit that evidence because it simply cannot be the Fathers were wrong. Except they were, if geocentrism is in fact false. Thinking that nothing whatsoever can be learned over many centuries and something MUST be accepted just because it was said to be the case by experts who lived over a millenium ago is the height of irrationality to me. That's not what I say. You wish to make it a battle of authority vs. authority, whereas I am saying it is a battle of authority vs. evidence. I'm not saying believe the earth is old, just because modern scientists say it is. I'm saying believe the earth is old, because that is the only rational interpretation of the evidence. But there you go again. You completely brush past the objections of Mr. Oard just because you trust Dr. Brown more. Is it just possible that the objections of Mr. Oard are valid? Nevertheless, they both reach the wrong conclusion. So? I'm also not going to waste my time writing 100s of pages refuting Sungenis or Mackie. Because I don't need 100s of pages to refute them. Because an incorrect theory can still nevertheless make some correct predictions some of the time. But you have to look at the totality of the data. Now, according to Dr. Brown, all comets emerged from the earth at the time at the Flood. Yet there are ample comets with perihelions much larger than the distance from the earth to the sun. All that shows is similar stories. The only eyewitness testimony there could be to a global flood would be its survivors. But we don't, in fact, have such testimony from the survivors. We just have stories written in the third person. And moreover, we don't have eyewitness testimony that the flood was global (Google Earth not having been invented yet). The fact that Moses gave the law doesn't prove that he was the one who wrote down that he gave the law. It proves the Lord and the Apostles speak of the whole Law ("Law" is often used as a synonym for "Pentateuch" just as "Law and the Prophets" for the whole "Old Testament") as given by Moses. Moreover, you dismiss the volume and depth of evidence we have for Mosaic authorship, by appealing to a random modernistic theory first seriously proposed around the 19th century that denied it. We have (1) the testimony of the Lord and His Apostles, who attribute all the passages they cite to Moses, and never hint that he did not write it (2) the testimony of the holy Fathers of the Church, who unanimously tell us Moses wrote the Pentateuch, (3) even Jewish pre-Christian Tradition had maintained Moses wrote it. Thus, we have about 3300 years of uninterrupted Tradition that Moses is the author of Genesis. Figure 30: Desert Whales. In 2010, more than 80 fossilized whales (adult and juvenile baleen whales and an extinct sperm whale) were discovered in a narrow 65-foot by 800-foot strip near the costal town of Caldera, Chile—in the Atacama Desert, the driest desert in the world, where rain has never been recorded.92 Other fossils included sharks, a porpoise, a bird with a 17-foot wingspan, an extinct tusked dolphin, and a possible seal. What concentrated such large and diverse creatures, and how were they fossilized at the western base of the Andes Mountains? A few species (sperm whales, killer whales, and dolphins) sometimes become disoriented and beach themselves, but not baleen whales, or the other powerful swimmers found in this mass graveyard. (SONAR often causes whales to beach themselves, but, of course, SONAR did not exist when these whales died.) Environmental factors might kill a variety of large sea animals, but would not lift them so high,93 concentrate them in an area the size of two football fields, and quickly bury them in enough sediments to provide excellent fossilization. Instead, the animals would decompose or be scavenged. If this happened over millions of years, what clustered so many, some overlapping? Even if a whale became trapped in a lagoon, why would a shark—a sleek and powerful swimmer? Besides, what would drive so many different and large sea creatures into a lagoon?
.] Both These animals are buried primarily in nonlayered diatomaceous earth (the skeletal remains of diatoms) mixed with clay90 and volcanic ash. Diatoms are microscopic organisms living near the surface of open water—oceans or lakes. A teaspoon of diatoms contains hundreds of millions of individual skeletons. When diatoms die, their silica skeletons slowly sink. In deep water, the silica often dissolves before reaching the seafloor. Today, in shallow seas, a mushy layer of diatoms can accumulate at rates of up to 0.1 inch per year. From erosion patterns, researchers at this site could tell that diatomacious earth was swept in, but how could sea bottom sediments get swept uphill, 3,800 feet above sea level, and why were these sediments so thick—up to 260 feet thick? If the seafloor rose, what forces, energy, and mechanisms were involved? Obviously, the burial of 346 whales and other animals must have been quite rapid to preserve their bodies, not a slow burial at 0.1 inch a year.91 And why are land and sea animals buried together? Ground sloths never lived with whales." 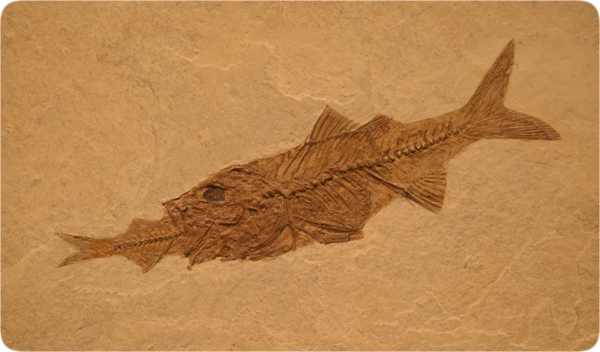 (2) Second, how do you answer why some fossils are completely "out of place" for the evolutionary requirements - including the above? You give the picture of a complete step-by-step burial of evolutionary ancestors successively, but the rapid burial and fossilization of land and sea animals without any evolutionary relationship together argues against their evolutionary separation over millions of years. Later, thin traces of water were found at all lunar latitudes by three different spacecraft.8 Comets are a likely source, but this raises perplexing questions. Ice should evaporate from the Moon faster than comets currently deposit it, so why does so much ice remain?9 Also, recently deposited ice has been discovered in permanently shadowed craters on Mercury,10 the closest planet to the Sun. Ice that near the Sun is even more difficult to explain. [See Figure 4.] ... Short-Period Comets. Of the 1,139 known comets, that are in elliptical orbits, 737 orbit the Sun in less than 100 years. They are called short-period comets, because the time for each to orbit the Sun once, called the period, is short—less than 100 years.20 Short-period comets usually travel near Earth’s orbital plane, called the ecliptic. Almost all (711) are prograde; that is, they orbit the Sun in the same direction as Earth." But again, I challenge you to ask Dr. Brown some of these issues in more depth than I could answer them for yourself, in a three-way email conversation, if you like. We would all learn something, and if it is fine with all parties, we could post a transcript here. Your explanation that "incorrect theories" may still manage to make "correct predictions" is not at all convincing. Please tell us one of your "incorrect theories" that have managed to predict "correct predictions"! Finally, it is interesting that Dr. Walt Brown, an Evangelical, ends up concluding the Septuagint (and Vulgate!) chronology is correct (Masoretic text slightly different) solely based on his scientific calculations. That adds authenticity and credibility to them. Also, Quare, you think these things are unrelated, but they aren't. You support the pro-life movement but don't see evolutionism as that much of a problem. Recently, Lifesitenews had an excellent article from hundreds of the best-qualified scientists expressing scientific doubt about Darwinism. If America had not stood much stronger on evolution than most of europe did, the cave-in to evolutionary paganism would have been almost complete as it is sadly in most of Europe and there would have been no substantial pro-life movement and the like to speak of. Resisting evolution is of the utmost importance to the triumph not only of Faith, but also of life and the family. It proves the Lord and the Apostles speak of the whole Law ("Law" is often used as a synonym for "Pentateuch" just as "Law and the Prophets" for the whole "Old Testament") as given by Moses. Well that is what you need to prove - that "Law" means "entire Pentateuch". The New Advent article you cited didn't claim that. (2) the testimony of the holy Fathers of the Church, who unanimously tell us Moses wrote the Pentateuch, (3) even Jewish pre-Christian Tradition had maintained Moses wrote it. Thus, we have about 3300 years of uninterrupted Tradition that Moses is the author of Genesis. And what is their evidence? Yes, let's discuss it. Still waiting for your answers about fossil sorting, mother-daughter isotope ratios, Lake Suigestu, SN1987A, ERVs/pseudogenes, and so on. Now look what you're doing here. You're starting with the a priori assumption that the global flood happened, finding evidence consistent with it, and then claiming support from science, completely dismissing any contrary evidence, and not even looking for what support there might be for the contrary hypothesis. That's not how science works. - (1) first, how do you deal with the pretty clear evidence for rapid burial - "
Some fossils got buried rapidly. You know, you don't actually need a global flood for that to happen. Now, how do you deal with the evidence that not all fossils were buried rapidly? I looked "above" but didn't see exactly what you were referring to. Anyway, rapid burial of land and sea animals just shows they were living around at the same place at the same time of the rapid burial. But what is your explanation for the general succession of life found in the geologic column from simpler to more complex life forms? (3) Third, to what you asked about comets - first, it was unexpected that comets would be explained by the theory, but as Dr. Brown developed it, based on various texts of Scripture that indicate water underneath the earth of old, he found it gives a good explanation for most comets at least. So what's the explanation of the other ones? And the Kuiper Belt? What about the falsified prediction of Carl Sagan and others that we would have found intelligent life on hundreds of planets, because evolution is so common and practically inevitable? What about it? Sagan was wrong. But there's many more factors in the Drake Equation than that. On Comets, "In 1998, billions of tons of water-ice mixed with the soil were found in deep craters near the Moon’s poles. As one writer visualized it,Comets raining from the sky left pockets of frozen water at the north and south poles of the moon, billions of tons more than previously believed, Los Alamos National Laboratory researchers have found.7 Later, thin traces of water were found at all lunar latitudes by three different spacecraft.8 Comets are a likely source, but this raises perplexing questions. Ice should evaporate from the Moon faster than comets currently deposit it, so why does so much ice remain?9 Also, recently deposited ice has been discovered in permanently shadowed craters on Mercury,10 the closest planet to the Sun. Ice that near the Sun is even more difficult to explain. These are all good questions, but I fail to see what this has to do with anything. [See Figure 4.] ... Short-Period Comets. Of the 1,139 known comets, that are in elliptical orbits, 737 orbit the Sun in less than 100 years. They are called short-period comets, because the time for each to orbit the Sun once, called the period, is short—less than 100 years.20 Short-period comets usually travel near Earth’s orbital plane, called the ecliptic. Almost all (711) are prograde; that is, they orbit the Sun in the same direction as Earth." Again, what of it? For long-period comets, on the other hand, half of their orbits are retrograde. Still doesn't answer the question about orbits. That just shows you do not understand science. At all. Aristotelian physics correctly predicts that a dropped object will hit the ground. It incorrectly predicts that heavier objects will fall faster than lighter ones, that stars will be incorruptible, and that everything will orbit the earth in a circle. Newtonian physics (and wave mechanics, etc.) correctly predicts not only that a dropped object will hit the ground, but can predict its timing, and can also predict planetary and stellar motion. It incorrectly predicts that there will be no such thing as photoelectric effect. Quantum mechanics correctly predicts the photoelectric effect. It's spectacularly successful in fact for electrodynamics. Yet there also other things that are not predicted so well by it. Newtonian physics is still a bit inaccurate when it comes to predicting planetary motion, however. But relativity does a much better job (and also predicts that GPS systems will work.) Nevertheless, it's impossible to completely align relativity with QM. And so just how do you propose to resist it? By actually solid science, or by things that sound sciency but are fallacious and will be lapped up by those eager to find any argument they can to "fight" or "disprove" evolution, and which hucksters like Ken Ham can use to become millionaires? Confirmation bias is very strong. Briefly, for Mosaic authorship: The Fathers learnt it from the Apostles. The Apostles learnt it from the Lord Jesus, Who is God. God Himself gave it to Moses, and all the Prophets and Kings after Moses attribute it to him. St. Chrysostom implores you, "It is for this reason that he begins to speak thus: “In the beginning God created the heaven and the earth,” as if calling out to us all with a loud voice: it is not by the instruction of men that I say this; He Who called them (heaven and earth) out of non-being into being – it is He Who has roused my tongue to relate of them. And therefore I entreat you, let us pay heed to these words as if we heard not Moses but the very Lord of the universe Who speaks through the tongue of Moses, and let us take leave for good of our own opinions." Where is Wellhausen's evidence? And just who do you people claim is the author anyway? And how could this other alleged author of such an important work be lost to history? I'm starting with the eyewitness testimony of God and His Prophets, that these things were so. Some fossils got buried rapidly. You know, you don't actually need a global flood for that to happen. But you have rapidly buried fossils in widespread locations and practically all continents on earth. A global flood is a simpler explanation than very many local floods in all different places. Now, how do you deal with the evidence that not all fossils were buried rapidly? Easy. Those creatures perished normally and not in the flood. I looked "above" but didn't see exactly what you were referring to. Let's take the example of jellyfish which, given Darwinian, evolution, shouldn't be fossilized at all. Coarse grains slowly covering a jellyfish would allow atmospheric oxygen to migrate in and produce rapid decay. Burial in clay or mud would better shield an organism from decay. If coarse-grain sand buried these jellyfish in a storm, turbulence and abrasion by the sand grains would tear and destroy the jellyfish. The liquefaction chapter (pages 195–212) explains how thousands of jellyfish were gently collected and preserved in coarse-grained sand. No organism wholly soft can be preserved. Charles Darwin, The Origin of Species, p. 330. But what is your explanation for the general succession of life found in the geologic column from simpler to more complex life forms? It could be a basic explanation, the smallest and simplest creatures generally were pushed downwards after the flood and subsequent events. This does not prove one form of life was transformed into another over millions of years, especially if intermediates are lacking. Aristotelian physics correctly predicts that a dropped object will hit the ground. Give it a chance, Quare. The evidence may still surprise you. But I agree we should never knowingly use a bad argument; or if something is proven false, we should not repeat it. Christian teaching rejects utilitarianism and ends don't justify the means. The Truth has no need of any lies to support it and in fact rejects it. However, I think the evidence here is pretty solid. I need to read up on it more. Briefly, for Mosaic authorship: The Fathers learnt it from the Apostles. The Apostles learnt it from the Lord Jesus, Who is God. Evidence, please. Surely if one of the Fathers had been in direct contact with one of the Apostles, and that Apostle had told him that Jesus had said Moses wrote the entire Pentateuch, there would be some documentary evidence of such? Surely the Father wouldn't omit to mention he had face-to-face contact with an Apostle? Evidence, please. Are you saying that Moses was carried back in time and witnessed the whole earth covered in water because God lifted him up in the air and had him circle the globe? Scripture doesn't claim that. That isn't true. A "global flood" has plenty of variables associated with it, including local temperature, current, pressure, wind, etc. Except the distribution of rapidly-buried and non-rapidly-buried fossils doesn't match that evidence. EVERY fossil above a certain level and below another one should show rapid burial, if this is true. No, it predicts fossilization will be rare, but it doesn't make it impossible. Now I note that you've STILL punted on pretty much every single question I've asked. That is not an explanation. Yes, I know about the Cambrian explosion. Which would be violation of physics: fluid mechanics, bouyancy, etc. The fossils in general with the greatest specific gravity should be lower. This is not what we find. That is why fossil sorting is such a big problem for a global flood. There isn't an absolute one-to-one correspondence between theory and data. Phlogiston made accurate predictions about burning, for instance. Other theories might also be able to make accurate predictions on these things or other things. (And in fact, ordinary geology has perfectly fine explanations for most everything Dr. Brown brings up.) The best theory is the one which best explains the totality of the evidence. Ignoring cases where a theory doesn't make valid predictions is called "cherry-picking". Give it a chance, Quare. The evidence may still surprise you. Why don't you go and familiarize yourself with the evidence for an old earth. Even an old-earth Christian site like Biologos, if you don't want to contaminate yourself with "evolutionist" writings. The strength of that evidence might surprise you. But I agree we should never knowingly use a bad argument; or if something is proven false, we should not repeat it. Christian teaching rejects utilitarianism and ends don't justify the means. The Truth has no need of any lies to support it and in fact rejects it. However, I think the evidence here is pretty solid. I need to read up on it more. Look, if you can't understand why fossil sorting and mother-daughter isotope ratios are such huge problems for YEC after all this, then I guess I can't help you. But that does not mean you can make a good argument via ignoring them, or that taking potshots via anomalous radiometric dates or fossilized jellyfish or whatever else helps your case. And even evidence like Lake Suigetsu is pretty solid that the earth is older than YECs claim. The fact is that OEC overwhelmingly does a much better job of explaining the totality of the data compared to anything else. So then birds should be at the very top. Now Quare thinks birds would have been able to fly in a supposed storm so violent that it drowned the whole Earth. Cheetahs should be higher up than humans. Is a theoretical construct that doesn’t exist outside of world in which birds fly in hurricanes and cheetahs outrun humans in the flight to high ground. Quare just assumes old Earth => Deluge not global, just as he does evolution true => Genesis 1-3 not an historical narrative of a special ex nihilo creation. Well, of course he does, since he wants scripture to be something of a moral fairy tale.